I spent the night in jail and looked at the walls and I wondered how I would eat the food for years and days and days on end. From the perspective of day one (and only one) it was inedible. Down the road I would savor it in order to stay alive, I know. I am not so proud as to go hungry, but the thought of it, one day one and only one, was demoralizing. In jail, the lights don’t go off, which over the course of time, would be a sinister torture. By the course of time, I am thinking, anything more than two “nights”. There was a camera watching my cell in my cell. I wondered how wide the angle on the lens was. I wondered how many holes were in the acoustic tiling in the ceiling. I wondered what the guards talked about as I watched my cellie pace like a puma, twenty and stuck already in probation violations and stacked charges and no help. He asked for my free three minute phone card. I gave it to him. It had about 30 seconds left. His father was in prison for life and had been for his whole life. I felt through that math and tried to combine those numbers with the aching heart of a boy, fatherless and there is not an equation for that and now his son paces. This is easy for me. One night. I made a mistake and can pay my debt, but this is real. This place is not to be brushed with, these people and their cameras and their books have long memories. There is little mercy for brushing up to this barnacled arm of the government. In the same way that chronically hospitalized people have a vocabulary and know the vocabulary somewhat of the people who watch over them, the people in jail know vocabularies. “I’m here on theft three, arraigned by the same s.o.b. judge, cop didn’t show and they still stiffed me until she could fit it into her schedule.” etc. There are no flowers sent to jail, like there are at the hospital. No bouquets, nothing lovely. The phone is the one lifeline and calls are dollars/minute and no one there seems to have a nickel to shine on a dime. It is loud and bright and there is no moment of privacy ever. If the cell door opens, the cell has to empty and when the cell door closes, the cell is full again. I left there, walked out, un-cuffed and free and felt grateful and I tried to feel into real time there and I despaired. I could find no good thing might come of time there for me or anyone else, but I don’t know everything, about me or anyone else. Maybe there is some good thing. But if there is it would come by way of the camel squeezing through the eye of a needle. I am sitting now looking back on that single awful night in that hole while I watch the tide take the detritus off the beach as the ocean slips itself back into itself and I am listening to jazz, to Dexter Gordon, and I know that we humans have made agreements with each other about how we will act and how, if we don’t act a certain way, we have agreed to lock each other up in crazy little cells, maybe even kill each other. It won’t help. Killing you won’t prevent me from finding the grace or the evil within me. It just kills you. And in another lesser but also real way, endless prison sentences fail to achieve what they set out to do, on average. There are people I don’t want to be around and want around my son, but the system, overall, feels bottom heavy and hopeless. Maybe they should at least allow some flowers in there once in a while. 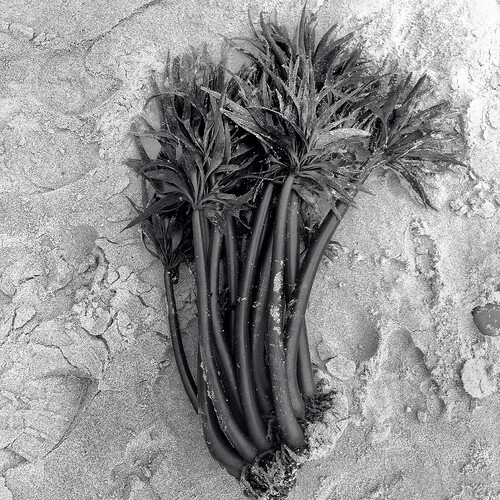 This entry was posted in Beach, Bend Light, Black and White and tagged Aperture 3, Beach, Bend Light, Black and White, Death Penalty, Flowers, iphone, Jail, Snapseed. Bookmark the permalink. I had to read this twice to get the sense of what it must be like day after day, of no silence, no dark, and no hope for some who sit in those cells, for more than a single day. From the old Bush, the American government began to lead the American cizeitn into a very dangerous ditch.The old guy directed the 1st Gulf War,and the worse younger went on with his father’s cruel and disgraceful Iraq War,which is not only righteous but also spoil the American’s image thoroughly.There is an Chinese saying which says, The one who plays fire will surely burn himself in the end.